The road to love is paved with dating disasters… One of Australia’s favourite personalities shares the ups, downs and in betweens of three decades of frog kissing in this hilarious, engaging and delightfully honest book. Despite her best efforts (and the fact that she was once voted ‘TV’s most spankable personality’), Sami Lukis has always been romantically challenged. Aside from a handful of serious long-term relationships, she’s been a serial dater for the better part of thirty years. It’s not like she hasn’t tried to find the one – she’s given it a bloody good go. She’s been on more blind dates than is reasonable for anyone to endure in a lifetime. She’s dated guys on almost every continent. But for reasons she can’t quite understand, she seems to be a dating weirdo magnet. There was the date with Kevin Costner’s bodyguard (yep, the Bodyguard’s bodyguard), and the delightful gentleman she later found out was an armed robber. The sleazy TV exec who loved the word ‘moist’. The bloke who wanted to rent her ovum. The guy who proposed on their first date. The loser who sent her a selfie featuring a hickie – which he hadn’t got from her. Oh, and that time she realised she might be dating her cousin. Now Sami’s sharing her dating disasters in the hopes of connecting with anyone who’s experienced the highs and lows of the always nerve-wracking, sometimes uplifting and often stomach-churning roller-coaster of romance. Romantically Challenged is an unintentionally entertaining romp through the men, the meetings and the misadventures a woman can face on her quest to find love. 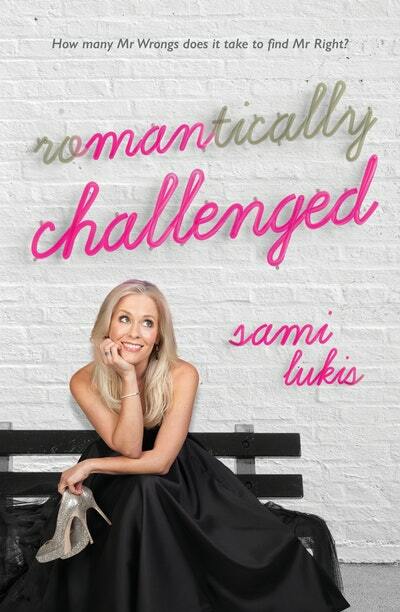 An introduction to Sami Lukis’ Romantically Challenged. Love Romantically Challenged? Subscribe to Read More to find out about similar books.